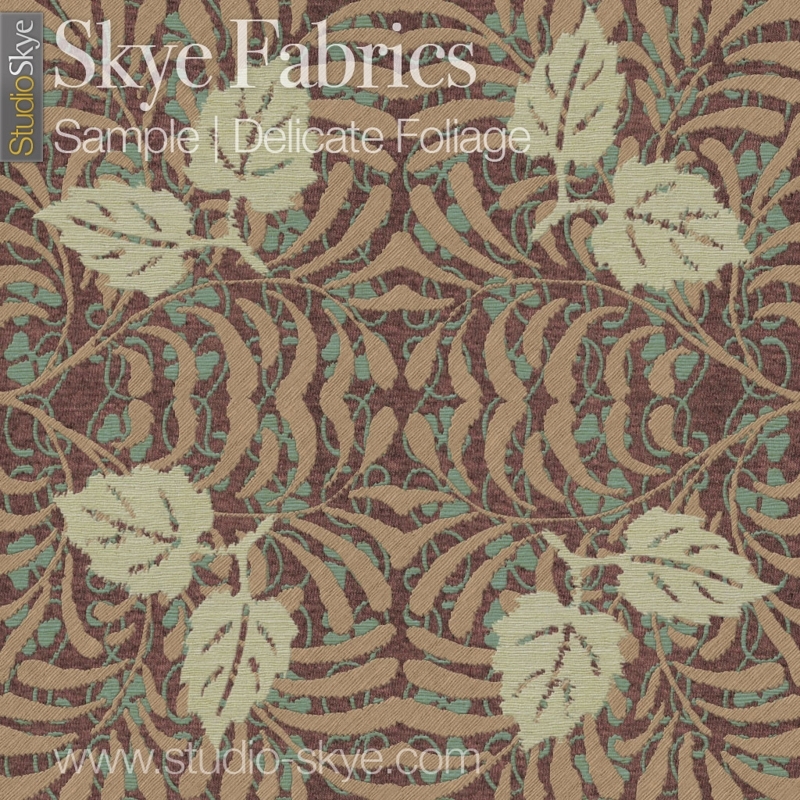 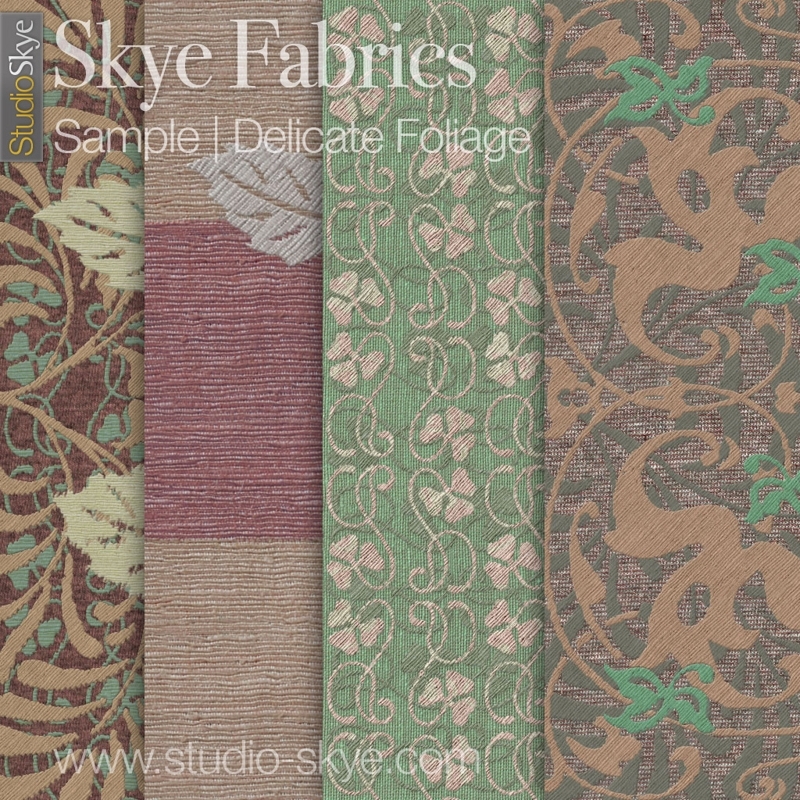 Skye Fabrics is a range of unique textile designs created for Second Life at the highest quality. 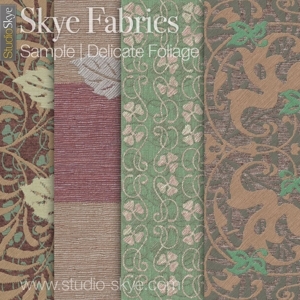 Each set provides a range of patterns and colour variations within one theme. 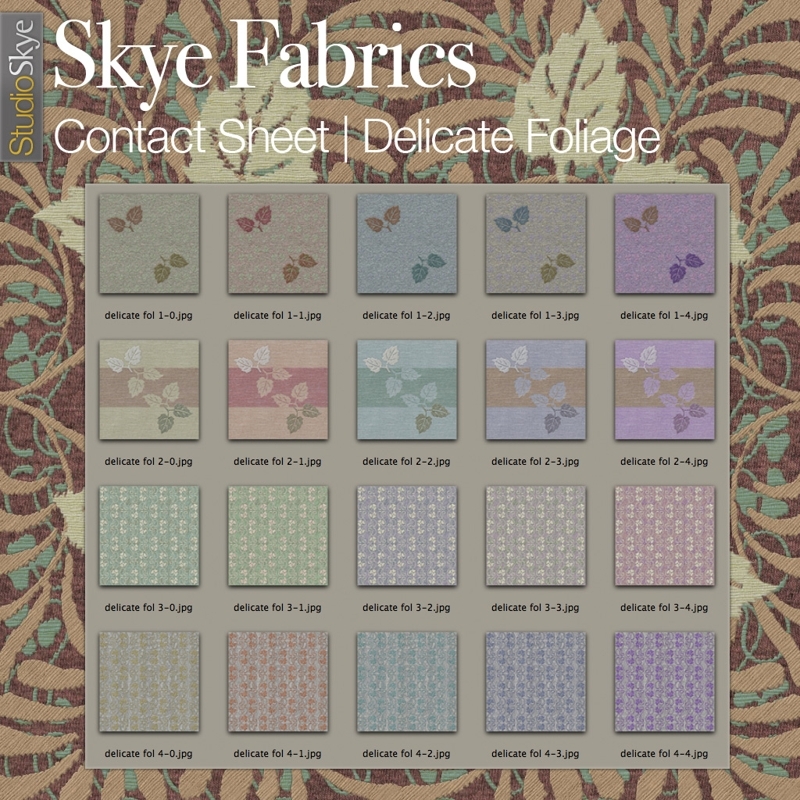 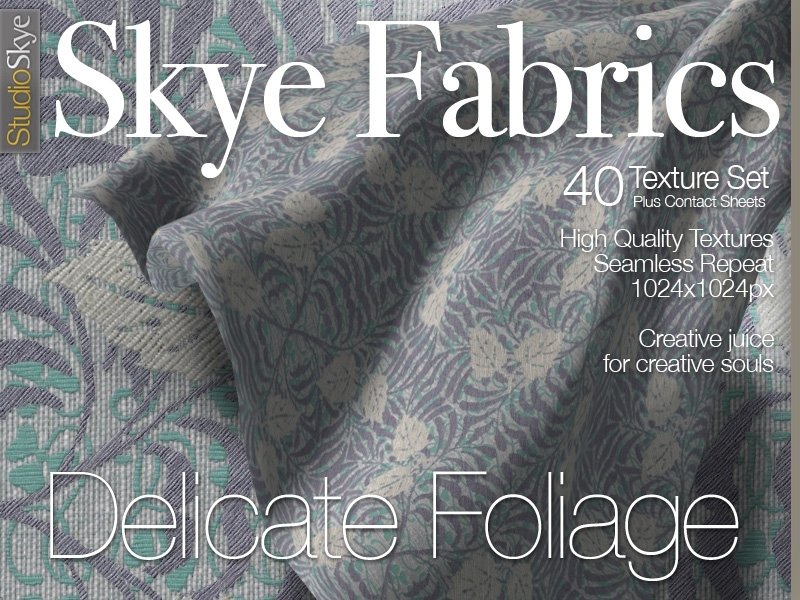 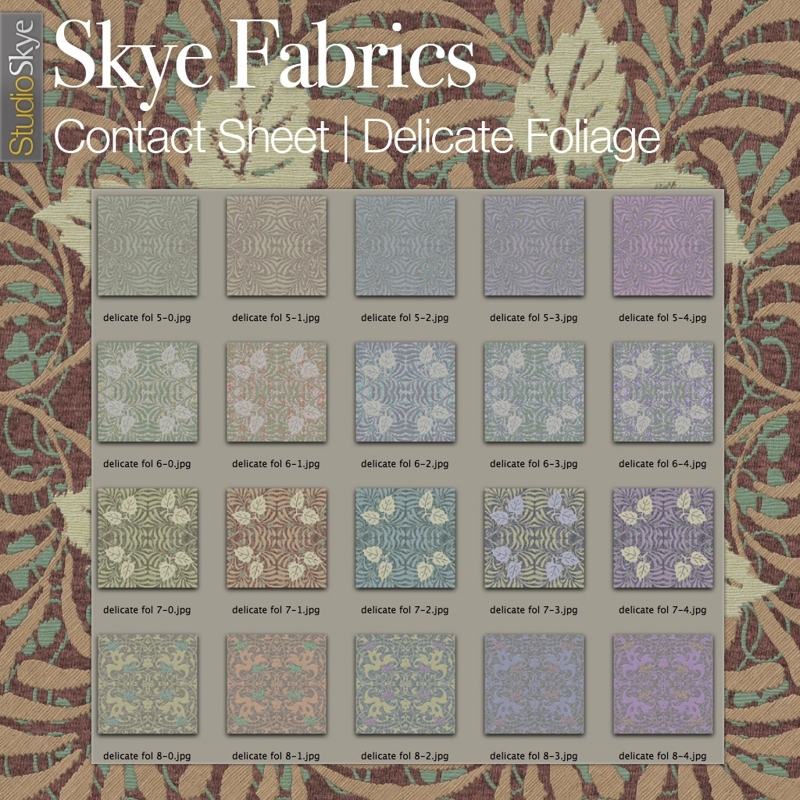 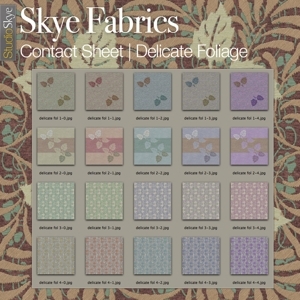 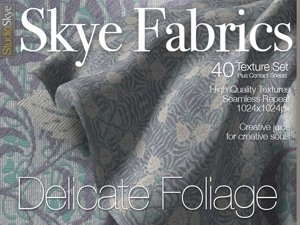 Delicate Foliage is a range of 40 leafy designs in gentle colours.